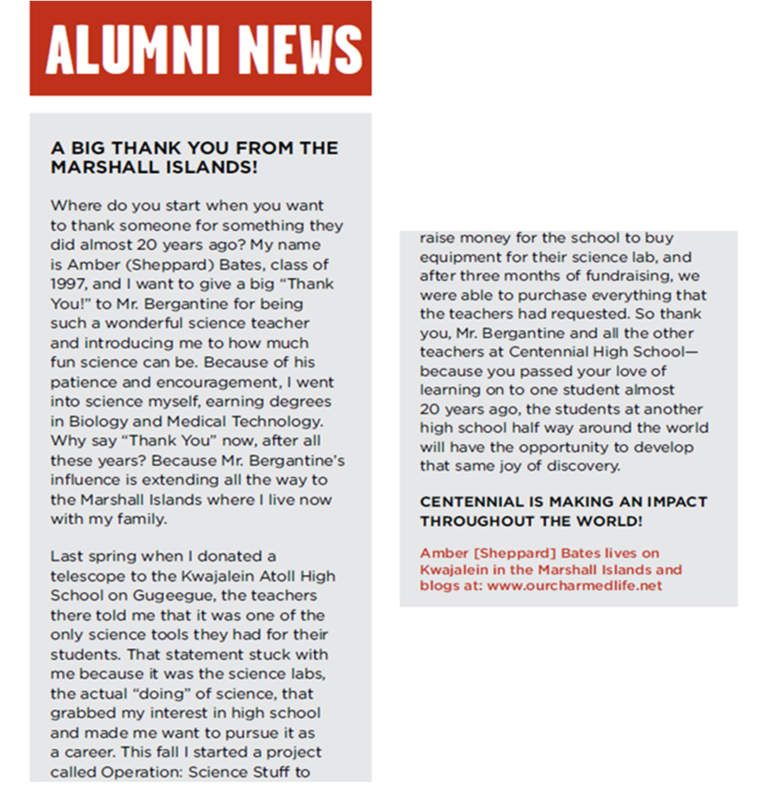 Thanks to some lobbying on behalf of an old high school friend of mine, Bert Jones (check out his photography and design site: http://bjpds.com/), Operation: Science Stuff, and yours truly, made the school district newspaper. I just received and email from a writer at the local city newspaper so there may be even more exposure for the project in the future. Yea! I'm so glad they were able to get you some more exposure! What you are doing is inspiring! You have such a great heart! Keep up the amazing work!